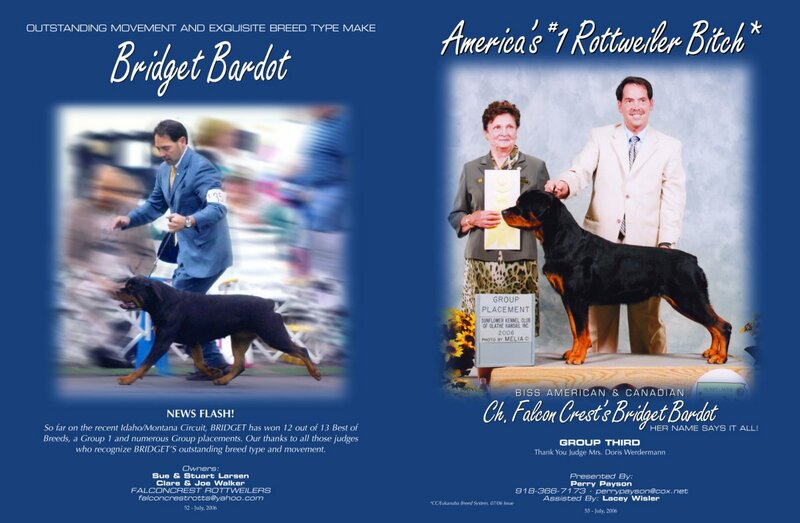 Bridget is currently in training with Francine Gaynor for her CD and CDX titles! 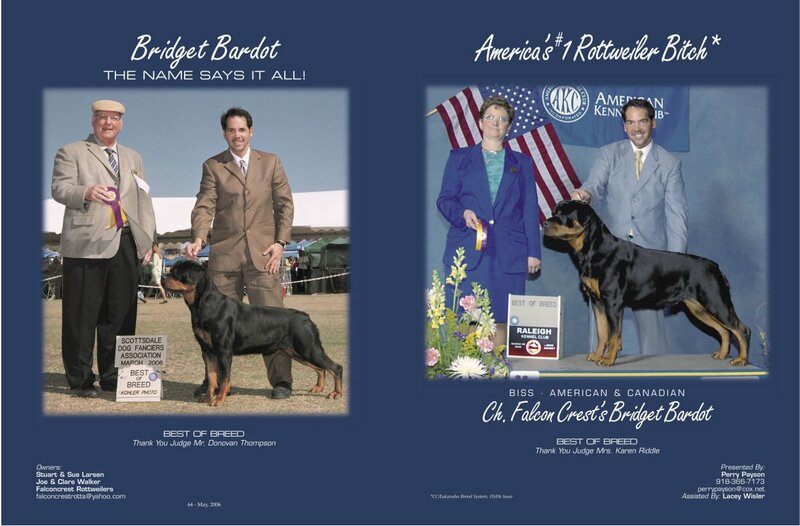 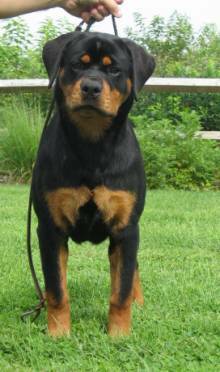 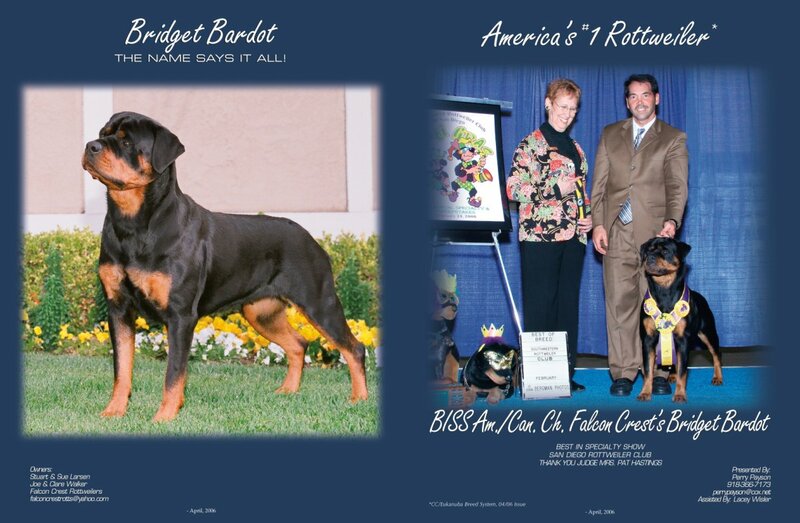 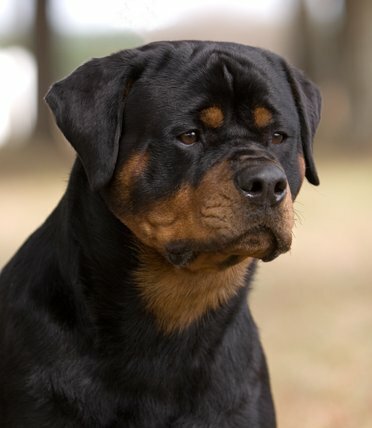 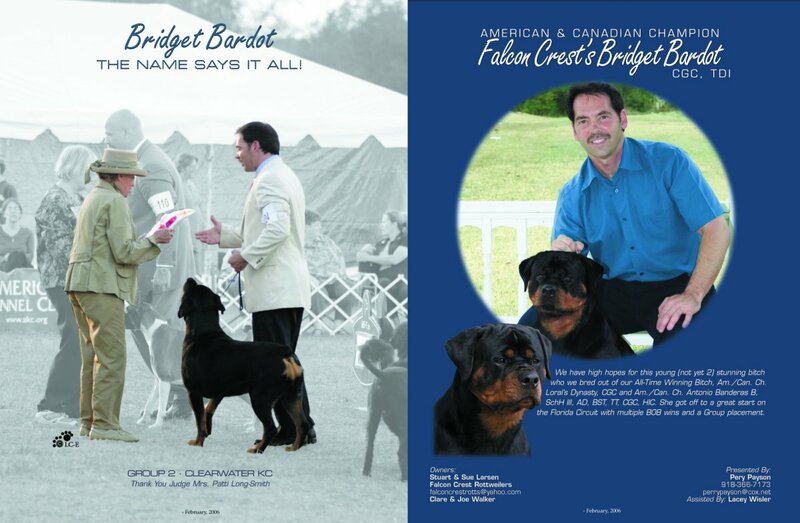 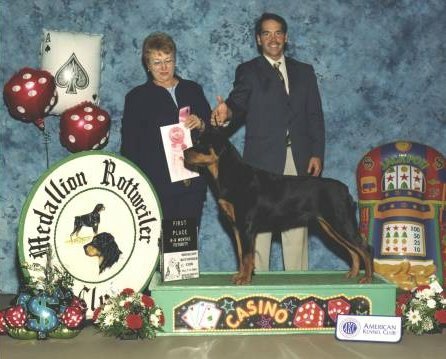 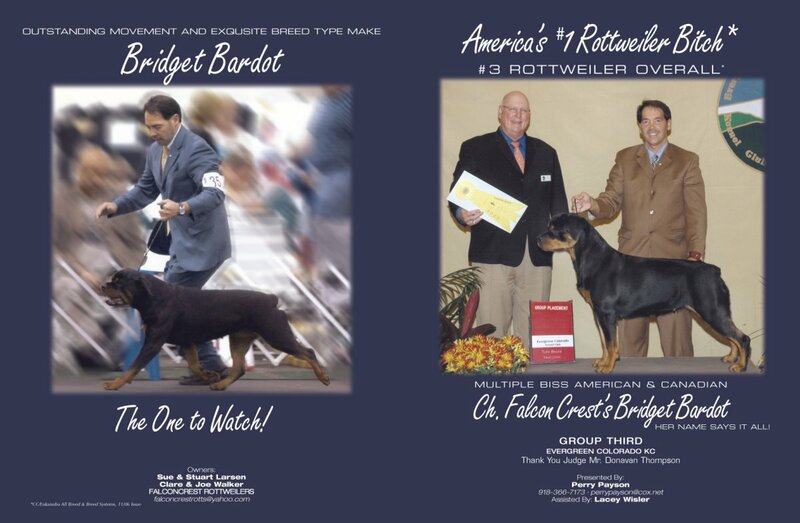 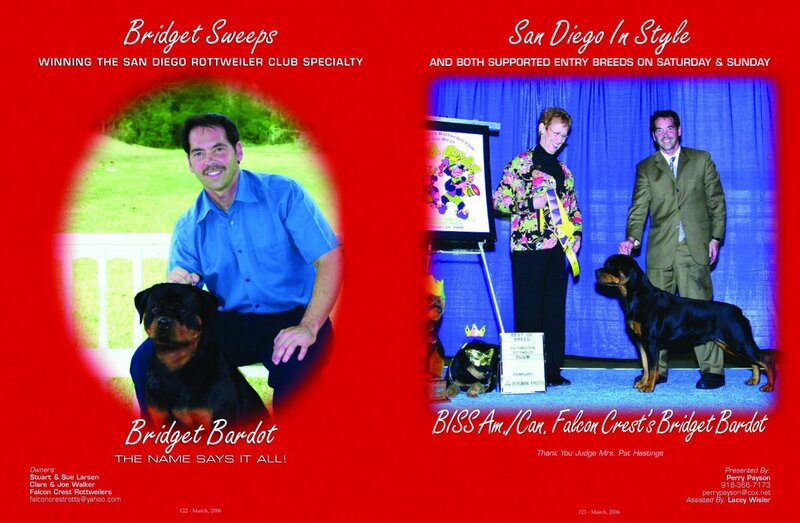 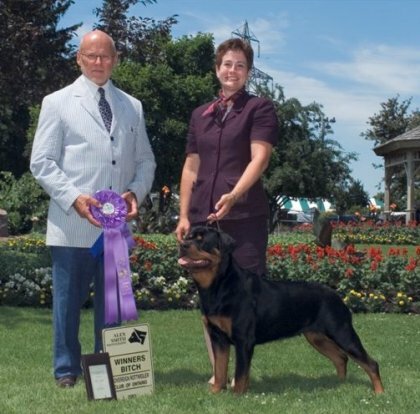 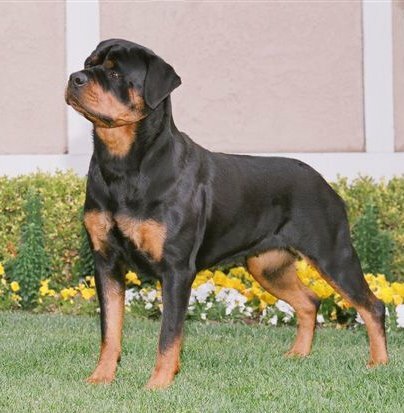 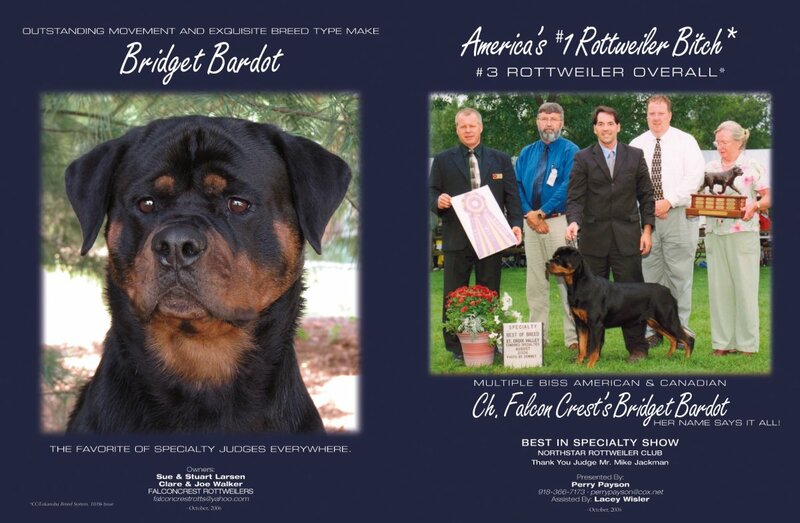 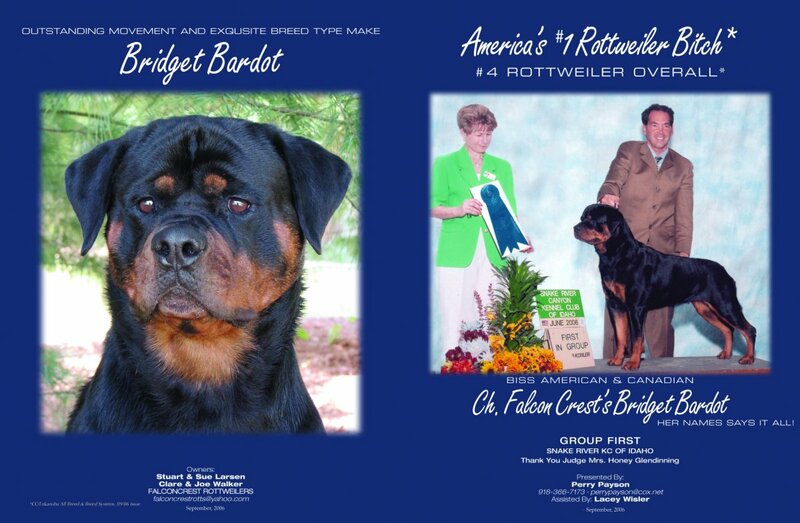 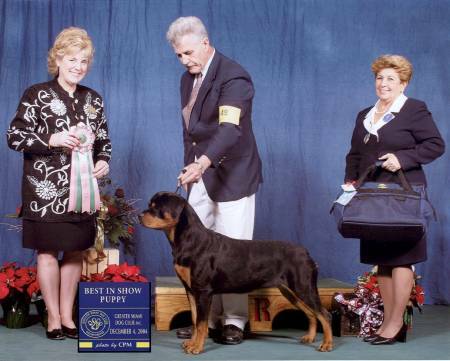 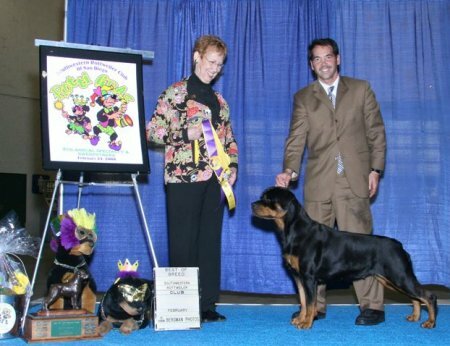 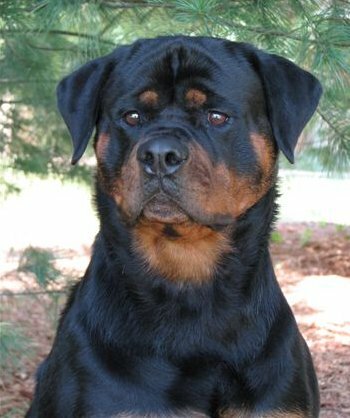 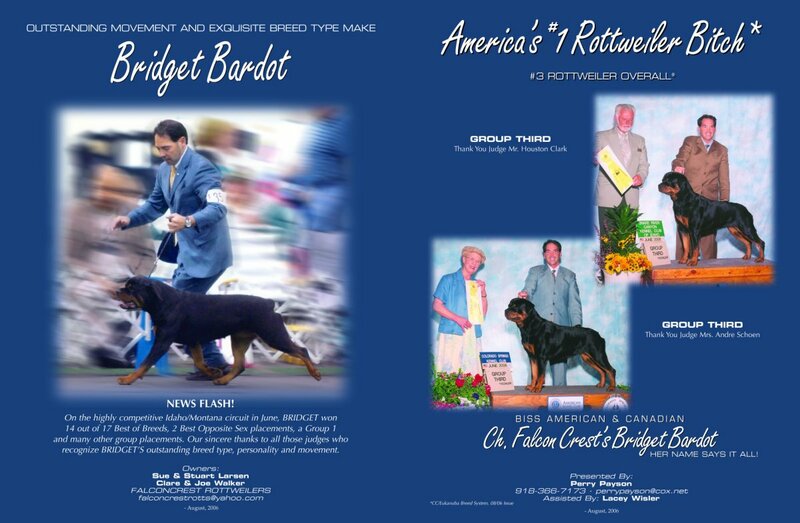 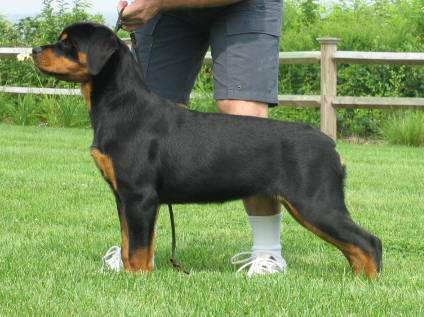 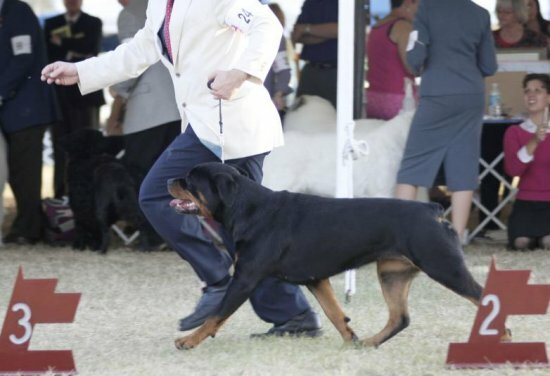 Bridget winning the 2006 SW Rottweiler Club of San Diego Specialty! 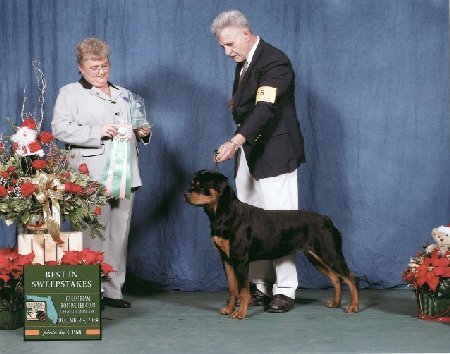 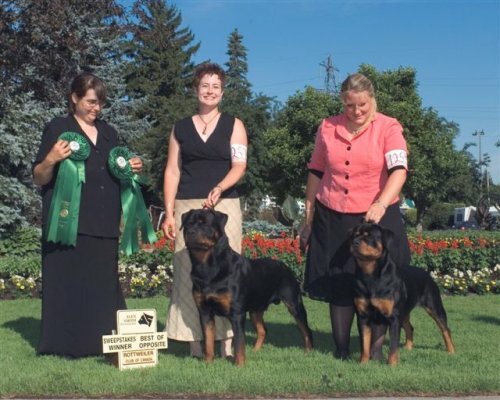 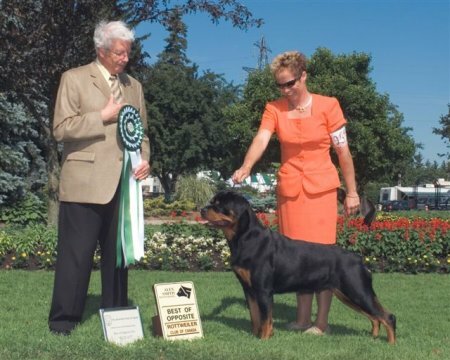 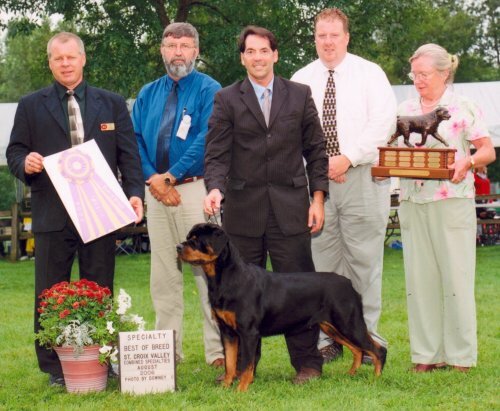 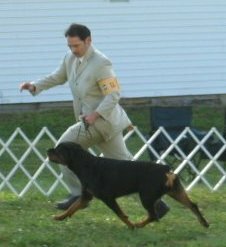 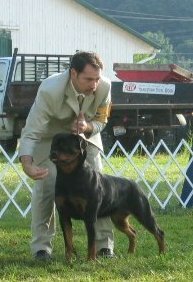 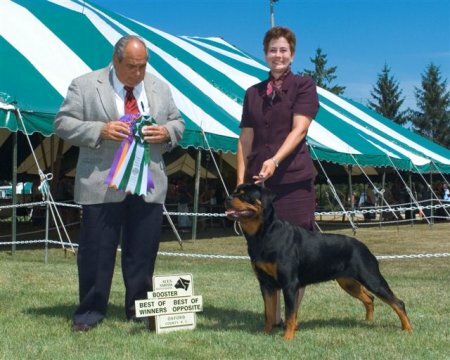 Bridget winning the 2006 Northstar Rottweiler Club Specialty! 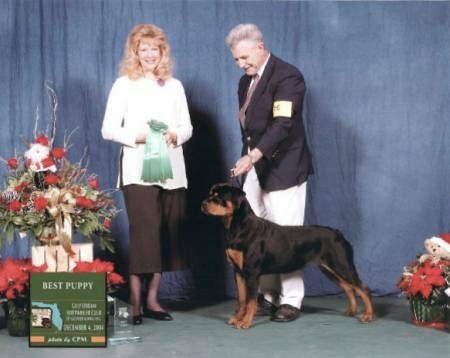 Best Puppy in Show at the Greater Miami All Breed Show!!! 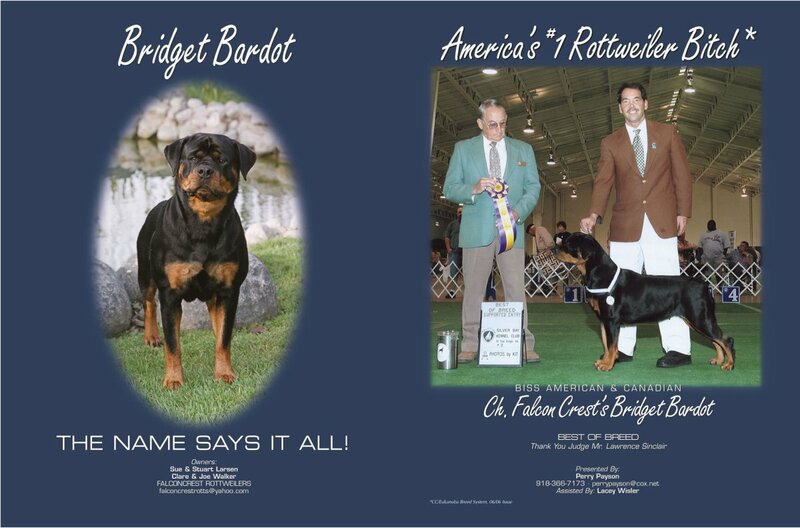 three WB wins out of six shows on the tough Florida January circuit!!! 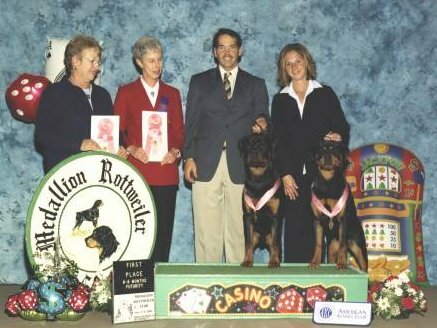 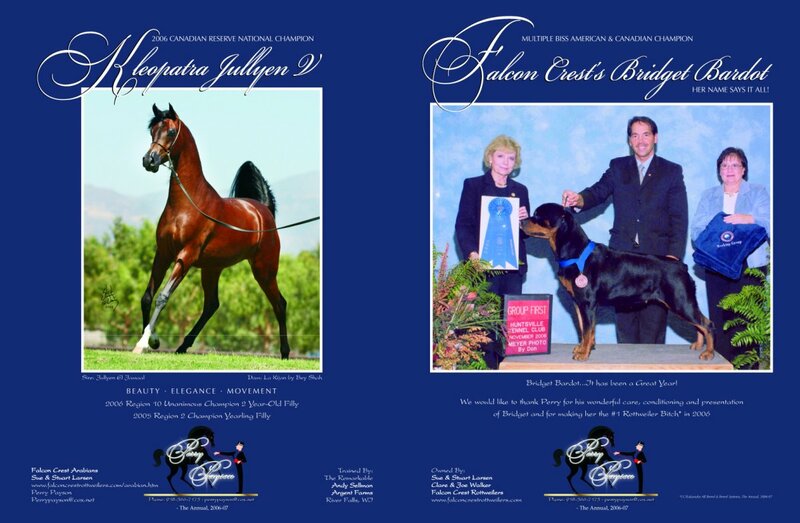 Both Bridget and brother, Mel, were first in their MRC Futurity Classes as well!